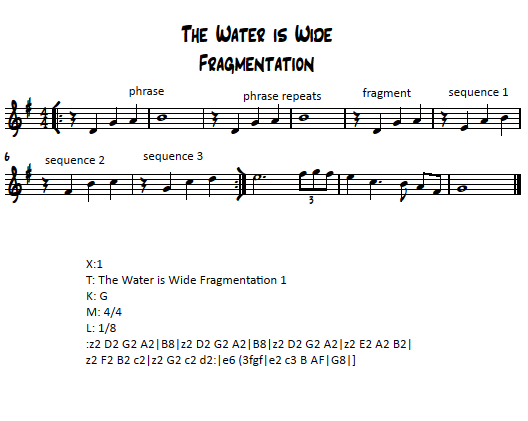 Motivic fragmentation can define the entire structure of a melody. Here are the steps. ​Now the motive or phrase has been fragmented. If the original motive or phrase is two measures long, these four steps will create an eight-measure structure. Eight bar melodies are very common in traditional and pop music. Motivic fragmentation was very popular with Classical and Baroque composers. 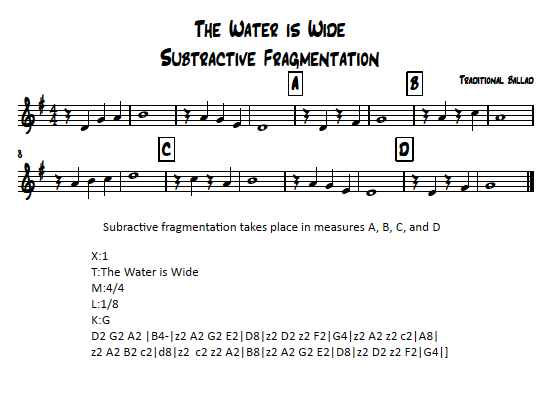 Subtractive fragmentation is simply a matter of replacing notes with rests. The effect is that the fragmented phrase can become syncopated.